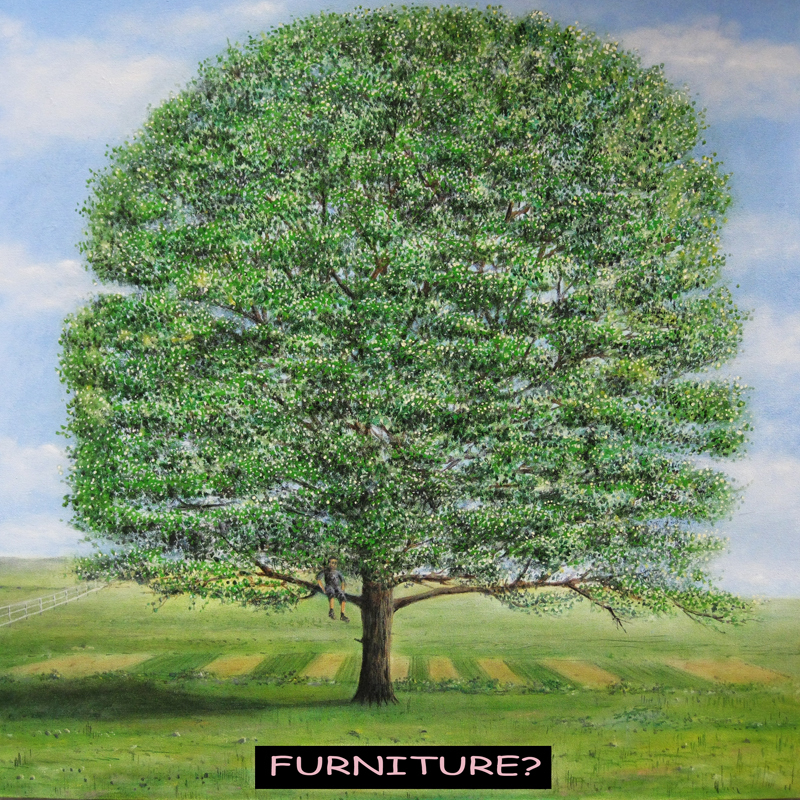 The art of Paul Whitehead stands as proof of the old saying that, “first impressions always last.” His favorite technique is to catch the viewer off guard with a visual pun that mirrors a wry sense of humor and possibly a profound message. This is often posed as an unanswered riddle striking a perfect balance between whimsy and self effacing Socratic wisdom. 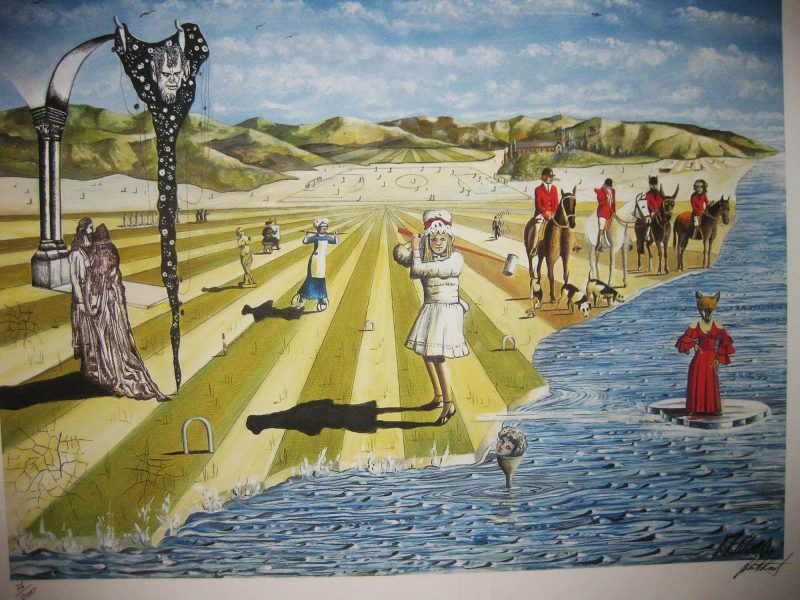 So, to, he explores manifold perspectives as revealed by his own descriptions of his paintings. Born in Dartford, a bombed out suburb of south east London at the end of World War 2, art liberated Whitehead from the restrictions of his own social limitations. Although he describes his experience of studying at Oxford as a disaster, he also calls it informative. His breakthrough come in London’s Swinging Sixties when he established himself as the original Art Director of Time Out magazine in London. As an integral part of what was to become an iconic publication, Paul frequently found himself at ground zero for all of the significant cultural events in Swinging London and soon became a leading designer of album covers for musical artists like Fats Domino and the British super group Genesis. His easily recognizable classic surrealistic, post psychedelic style of work, and his talent as a collaborator, soon meant that his phone was ringing off the hook. He was the Creative Services Director at Universal Studios, Hollywood for 5 yrs. His job there was to design and supervise the production of merchandise for all the Universal TV properties and movies such as Jurassic Park, Waterworld, The Flinstones as well as Universal horror classics. It during these years that he honed his merchandise designing skills. He continues to design CD packages, paints continuously and exhibits his work internationally. Paul is also the principal creative force behind The Borg Symphony, a sci-fi based band that celebrates and explores the complicated emotional and physical issues of life as a cyborg. The Borg are currently working on their 2nd CD. When asked to cite a source of his artistic inspiration he points to Rene Magritte’s surrealistic painting “Ceci ce n’est Pas une Pipe” (this not a pipe). “For me painting”, he says, “is about questioning reality and challenging perceptions.” This is so in his painting – MUSIC? in which an electric guitar is transformed into a sailing ship sailing towards a very active volcano and asks the question – Music? This piece now graces the cover of Fernando Perdomo’s instrumental progressive rock album Out To Sea. A graduate of a phenomenal era, his paintings and antics are guaranteed to amuse, surprise and astonish art & music lovers and fools alike. 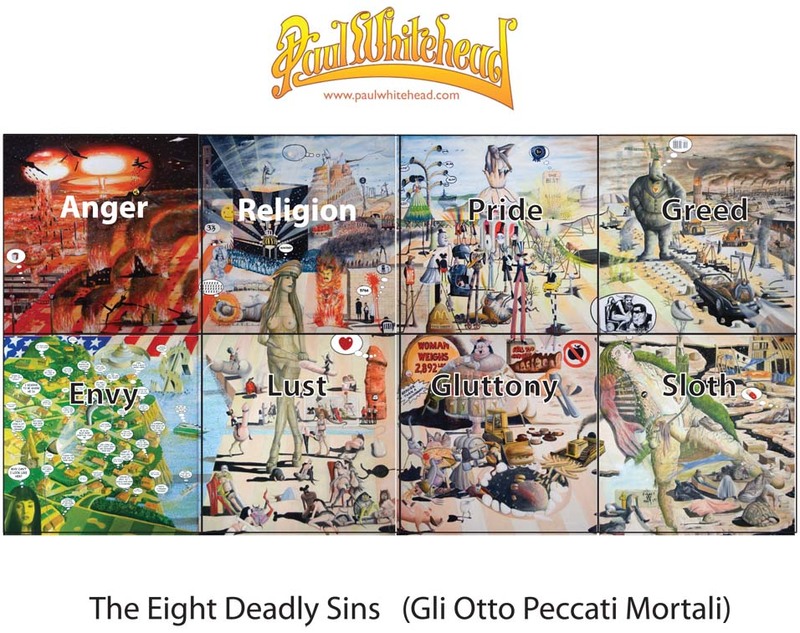 For a comprehensive look at his work in all of its many facets please visit his website www.paulwhitehead.com. To purchase artwork, please visit www.cypherarts.com.